Nike Air Max 1/97 VF Sean Wotherspoon 8Us , 41 EU. État : Neuf avec emballage Air Max 97/1 Sean Wotherspoon Ds with tags Taille : 8US / 41 Condition: Jamais portées / DS Boîte: complète Facture: oui Footpatrol Paris Disponible: oui N'hésitez pas à me demander plus de photos et plus d'informations, je suis à votre disposition. Possibilité de faire un legit Check sans problème. Je suis ouvert à tout offre. Size: 8US / 41 Condition: Never worn / DS Box: complete Invoice: yes Footpatrol Paris Available: yes Feel free to ask me for more photos and more information, I am at your disposal. Ability to make a legit check without problems. I am open to any offer. Sku : 910772 001. NIKE AIR MAX 1 "MASTER". Size : 8US / 41EU. UK7/ US8/ EUR41. NIKE AIR MAX 1AT0043 001. PURE PLATINUM/ WHITE. Nike Air Max 1 Tokyo Maze On Air Max Day - Size UK7/US8/EU41. Condition is New with box. Dispatched with Royal Mail 1st Class. OBERMATERIAL: Wildleder - Textil. INNENMATERIAL: Textil. INNENSOHLE: Textil. grau - weiß. Viele Markenprodukte. Nike Air Max 90 Ultra Flyknit Gr.38,5 Schuhe Sneaker schwarz Freizeit 881109 002EUR 79,99. Nike Air Max 1 Premium Rebel Skulls. Size 8 us / 7 uk / 41 eu. Farbe: blau/ grau/ weiß/ beige/ rot/ gelb/ gold/ grün. 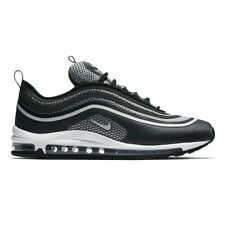 Basketball Schuhe Classic AIR Max Gr. 100% NIKE JORDAN AIR 1 I DUNK FROM ABOVE BLUE COOL GREY GOLD LIMITED EDITION Original Basketballschuhe. Nike Air Max 1 Tokyo Maze by Yuta Takuman UK 7, US 8, EU 41 *DEADSTOCK* Condition is New with box. NIKE AIR MAX 1 PREMIUM 'PRO PUPLE FADE'. EUR SIZE 41. Nike Air Max 1. Originally released in 1987, the Air Max 1 trainer is a classic and a staple of comfort and style. Amazing blue leather upper with textile grey - white mid sole and gum sole. 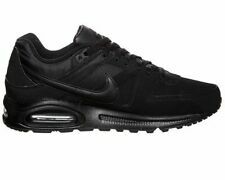 - Range: Air Max 1. Nike Air Max 1 Trainers Black Grey Volt. 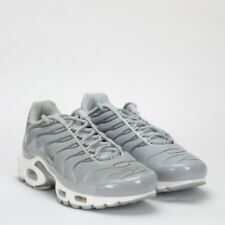 Size UK 7 / EUR 41. The original box is not included. CD7861 400. UK7 US8 EUR41. CREPE SOLES OBSIDIAN. NIKE AIR MAX 1 PREMIUM. SIZE: UK7 EU41 US8. NIKE AIR MAX 1 ESSENTIAL. Condition is Used. THE SOLES DO HAVE A BIT OF PAINT FADE SEE PICS. PLENTY OF LIFE STILL LEFT IN THEM,LOADS OF TREAD STILL LEFT ON THE SOLE. Nike AIr Force 1 US8 UK7.5 EU41 Will be shipped with tracking number. Wird mit Sendungsnummer verschickt. Style AH8145-004. Farben: Oil Grey, Wild Mango, Thunder Grey (Grau mit einem Stich Lila (je nach Licht), Orange, Grau). neu und ungetragen. tierfreier Nichtraucherhaushalt. NIKE Air Max 1 in sehr schöner Farbgebung. 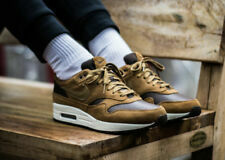 NIKE AIR MAX 1 MASTER OF AIR. 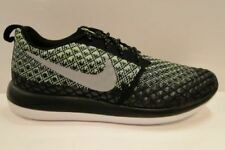 Size 8 US / 7 UK / 41 EUR / 26 CM. NEW IN BOX / DS. BLACK/BLACK-UNIVERSITY RED. Nike Air Max 1/97 VF SW Sean Wotherspoon 2018 Taille 41 . Neuve , jamais porté. Pour d'autres renseignement veuillez me contacter . Pas de transactions avec les profils 0 ou négatif . À vendre, Nike Air Max 1 Essential en taille 41. Paire sortie de ma collection, portée à 2 reprises. Elles sont en parfaite état, AUCUN défaut. Aucune usure, intérieure comme extérieur. Semelle comme neuve. Matière en daim en parfait état! En vente uniquement en France! Profil pas sérieux s’abstenir d’enchérir, sinon la vente est annulée! Bonnes enchères à tous!!! Model : AIR MAX 1. - Size : 41. - Your problem is not my problem.